Are you looking to secure your data? 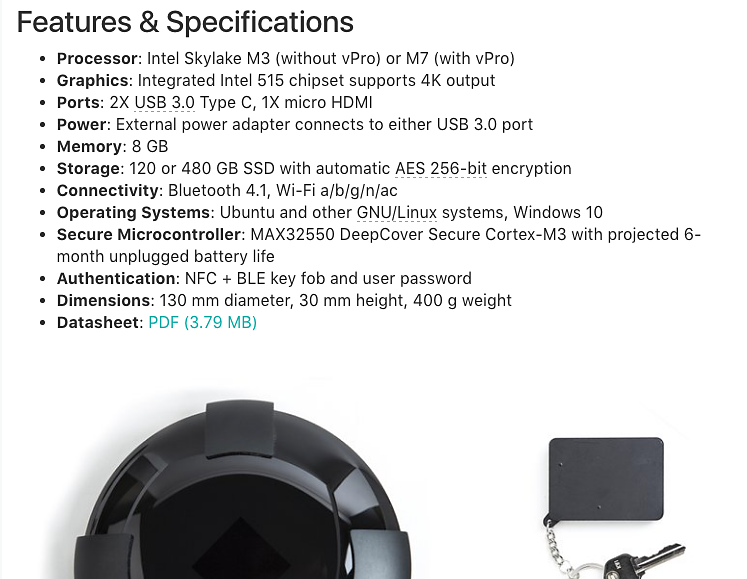 ORWL (pronounced Orwell) designed by Design SHIFT is a palm sized secure PC and has features something that the CIA or NSA would kill for, eh I mean drool for. This comes from Design SHIFT's learning in the banking industry when they designed Clover point of sale system. The case is physically protected against unwanted intrusion and provides NFC key for power up so that unauthorized users can't use the system - similar to modern car key systems. ORWL is a current active project on Crowd Supply. Check out Daniel Nelson's interview about what ORWL is all about.